"I have used it often. It's easy and uses pantry staples. Always a hit with adults and kids. Serve with basmati rice or quinoa and steamed or roasted vegetables." 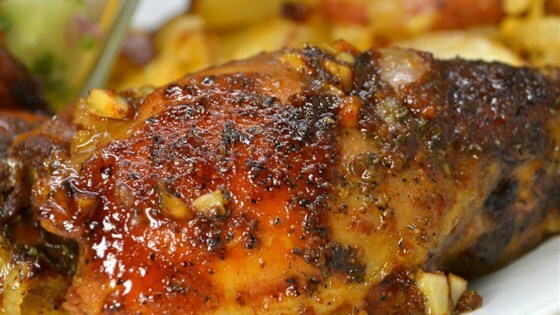 Easy recipe for tender, sweet and savory chicken thighs. Easy to make and uses pantry staples. Always a very good thing! I doubled the chicken thighs (but not the rest of the ingredients) and put half in the freezer for a quick meal when I need it.